Ryan is a CT guy. He grew up in Cromwell and graduated from CCSU. Kristafer started his career in "show biz," DJ'ing, then emceeing events across the U.S. and eventually making his way into this crazy world of TV. 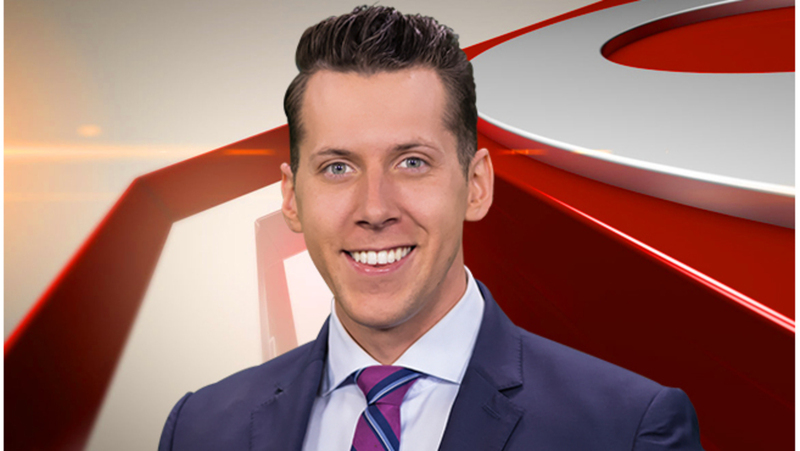 Ryan joined the WTNH / CT Style family in 2015. He's here to make people smile: "There's a lot of negativity in the world and on social media, so I think it's important to shine a spotlight on the good news, and people that make the Nutmeg State what it is." His tagline: "Your grandma would love me." Favorite memory / story from working in TV news? Interviewing Regis Philbin – he’s a TV icon and a fascinating guy. That was one of the *few* interviews that I’ve ever been nervous about. Beyond being able to produce a bunch of goofy segments, I think sharing the stories of WWII Veterans has always hit home for me. My Dad has been a radio DJ my entire life, so I grew up in “the biz” if you will. I always wanted to be a game show host, but somehow, I ended up here. And I love what I do - interacting with people, and learning what makes them tick, and hopefully sharing a few laughs along the way. Elm City Social – best burger I’ve ever consumed. My 8th-generation grandmother is Betsy Ross – the woman who crafted the first U.S. flag. And I also won the booty-shaking contest on my last Caribbean cruise. That holds a special place in my heart. Mowing my lawn, doing laundry, and playing video games. I live a very excitable lifestyle.